You have certainly heard the old adage that says if something sounds too good to be true, it probably is. Scams are everywhere these days. That even applies to Houston windshield repair. If you get offered a free windshield by someone you do not know, you should beware. It is probably an insurance fraud scam. In the bargain, you could end up with a higher insurance bill, a criminal record and a cheap, unsafe windshield. Here are a few of the scams you might encounter. 1. Some of these scammers will offer to replace your undamaged windshield for free. They will falsely tell your insurance company that your windshield was severely damaged and had to be replaced. Then, the crooks will inflate the bill for an unnecessary repair. 2. 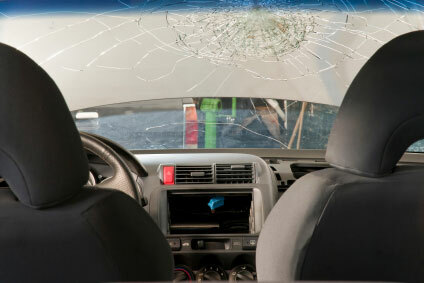 If your windshield has a small chip or crack, a Houston auto glass company can usually repair it inexpensively. However, a swindler might charge your insurance provider for several repairs even though only one was performed. They could also convince you to replace your entire windshield by telling you that it will not cost you anything because the replacement is covered by your auto policy. 3. If you do need a new windshield, the scammers could bill your insurance provider several times for the same replacement. After the con men have your policy information, they can make phantom charges whenever they like. 4. Some Houston windshield repair scammers do not have a brick and mortar business. They operate their scams from a pickup truck, and they will disappear once the job is finished. Usually, they have not been properly trained. That leaves you with a poorly installed windshield that is probably of dubious quality. Their favorite places to find new victims are gas stations, convenience store parking lots, car washes or county fairs. Their approach is convincing and aggressive, especially if you seem to be vulnerable to their pitch. They can replace a windshield quickly. Then, they will send your insurance company an inflated bill for their bogus service. 5. Your local body shop may be involved in windshield repair scams. You might be told that your windshield needs to be replaced when it does not. Usually, small repair shops get business from customer recommendations, and they are honest. However, some are always on the lookout for a few extra dollars. 6. Scammers might offer free movie tickets, steaks or car washes to convince you to let them replace a windshield that is not damaged. They say their scam is victimless, but your next auto policy premium will tell you a different story. They could also offer you a rebate or an inflated bill to cover your deductible. This makes their service seem to actually be free of charge to you. 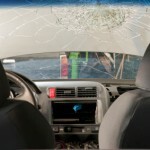 In almost all of these instances, the replacement windshield will be cheap and likely to shatter in a collision. It will probably not be installed correctly, and it might pop out if you have an accident. That would leave you and your passengers vulnerable to flying debris. In a rollover accident, your roof could cave in as well. Your insurance company will take a dim view of a fraudulent replacement. They could cancel your policy if the scammers submit multiple charges. You might also be charged with insurance fraud. If you need a Houston windshield repair or replacement, only trust your car to a reputable company. Apple Glass has been doing business for over 25 years. We have a fleet of trucks and technicians ready to assist you. In Houston, call us at 713-680-1400. If you are in The Woodlands, we can be reached at 281-296-0600. This entry was posted in Windshield Repair and tagged Houston Auto Glass, Houston Windshield Repair, Windshield Repair in Houston. Bookmark the permalink.